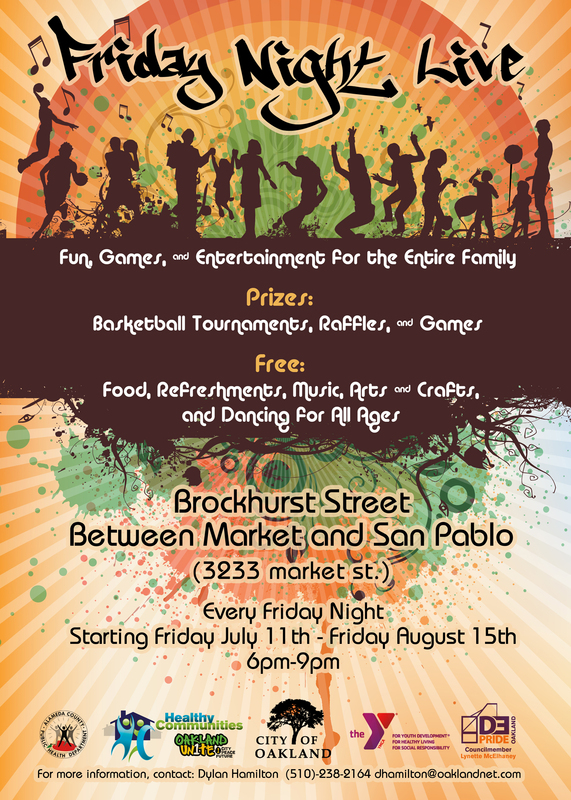 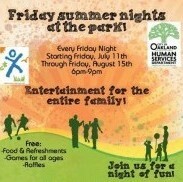 The Friday Summer Nights programs are kicking off this Friday, July 11th. 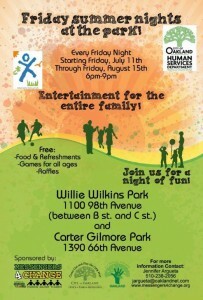 Come enjoy free food, entertainment and raffles! 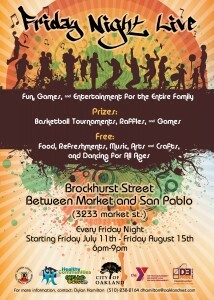 There are locations in East and West Oakland.